Loading Dock Supply strives to help our customers receive the best Dock Seal for their situation. When our customers request a dock seal or shelter we want to deliver a product that works well, and actually "fits" your needs. Our staff of trained experts understand how the docking process works and are ready to answer your calls and emails without the wait. Do you require full access to the dock door? How high is the dock opening? How wide is the dock opening? What is the dock height? 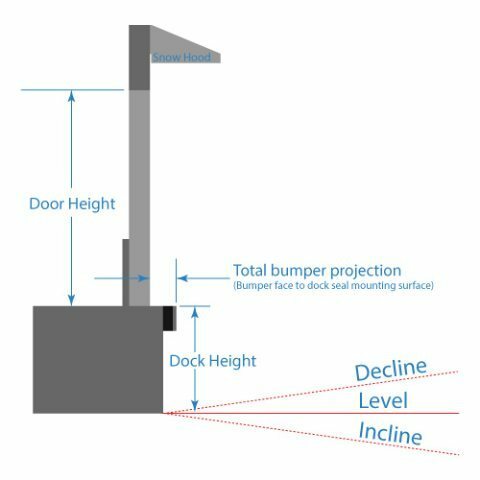 What is the bumper projection from dock seal mounting surface? We'll use this information to determine the basic design for your dock seal or dock shelter, additionally, we can further customize the seals to match any special requirements you may have due to obstructions or unusual loading dock conditions. Be sure to let us know if your loading procedures require full access to either the door width or height. If you require full access to the door width you'll need a dock shelter rather than a foam pad dock seal. Drainage pipes, short intervals between dock doors, electrical outlets, etc. 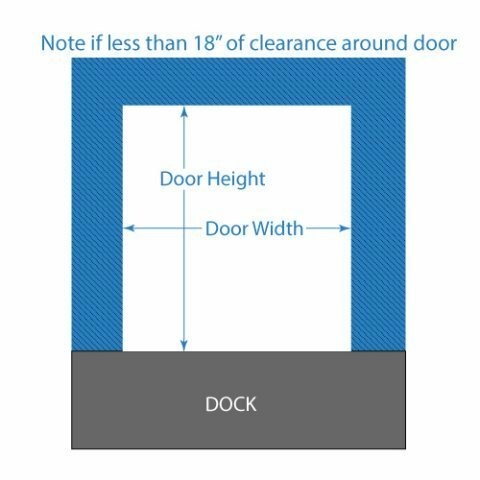 are all examples of obstructions that may be too close to the door opening for a standard dock seal. Be sure to note any obstructions around the door in the obstructions field to the left. While actual measurement are ideal Images can also be useful. To supply an image of your dock use the document submit field or email us at sales@loadingdocksupply.com. When the loading dock approach is sloped, it's important a measurement is taken to ensure the seal is wedged properly. Without wedging the seal to match the slope, the seal will either wear out prematurely due to overcompression or not seal at all if the slope is falling away from the dock. Keep in mind the top of the truck should never come closer than 4" to the wall, loading docks with this condition will need thicker bumpers to preserve the dock seals integrity. Attach one end of a 60' piece of string to the dock floor at the approximate center. Walk the string out 50' from the dock along the freight trailers approach path. 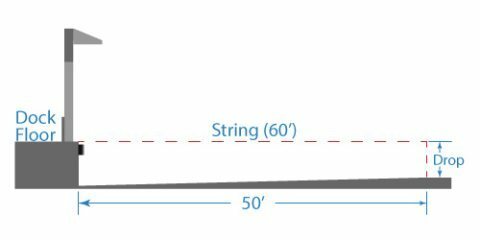 At 50' attach the line level and drop the string to the ground; a counter weight helps to get the line as straight as possible. Measure the distance between the leveled line and ground. Snow hoods, wear shields, dock bumpers, dock boards, dock lights, door track protectors, bollards, strip doors, trailer lighting.